Happy 10th Birthday ArtBridges! / Bonne fête ToileDesArts ! ToileDesArts fête ses dix ans aujourd’hui ! Hourra ! 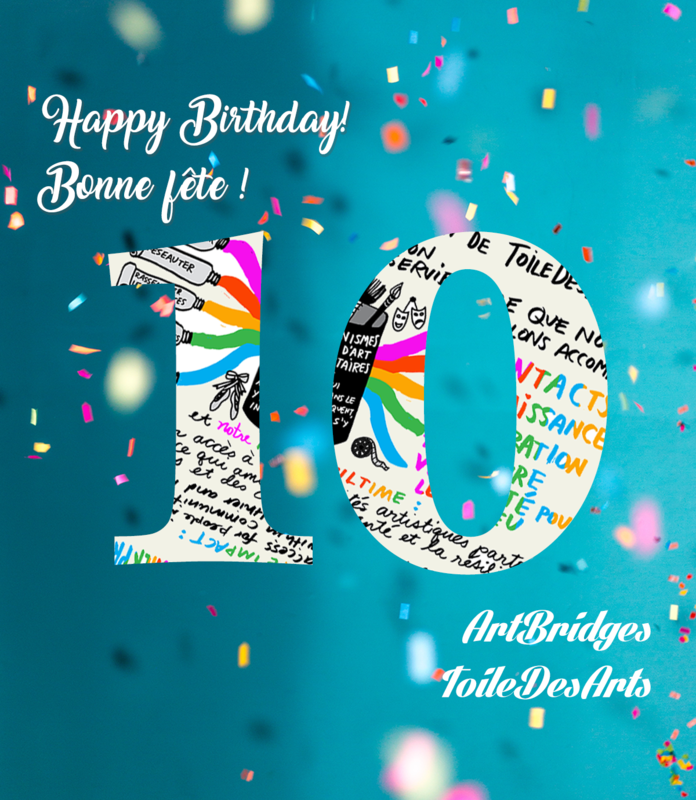 ArtBridges turns ten today! Hooray! Thank you so much — readers, contributors, community partners, members, supporters and friends!